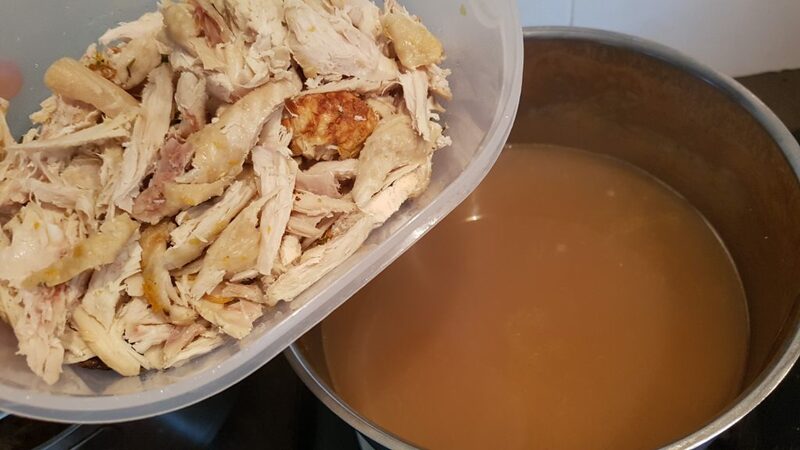 I shredded the last bits of my leftover GobbleFest turkey meat and stored them in the freezer, along with the turkey carcass. This weekend I just wanted to finish them all off and finally close the 2017 chapter of GobbleFest. What better way to do that than to try a new recipe? I made a casserole and a salad previously, so why not make soup this time? I found this recipe on The Kitchn’s website, which uses only five ingredients, all of which are things I already have on hand. I was intrigued by this Greek traditional comfort food, which uses eggs instead of dairy like cream or milk to achieve its creaminess. It is a surprisingly bright, tangy soup, very unlike the creamy chicken/turkey soups I’m used to. 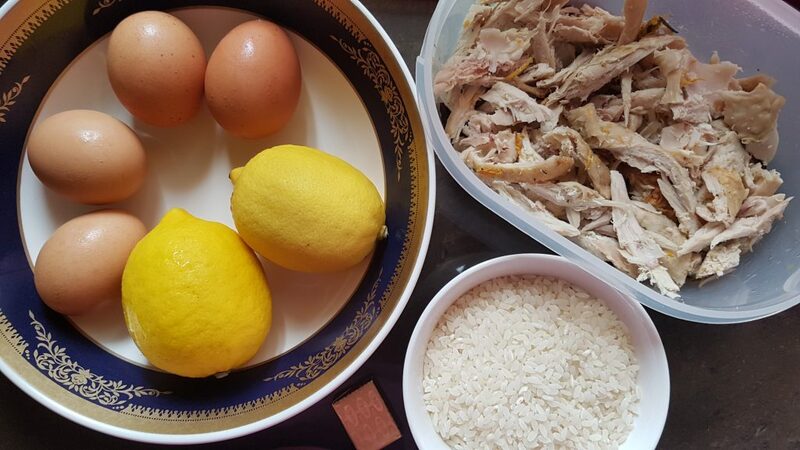 Most recipes for this soup uses a lot of lemon juice so I guess the sourness is expected, but I might halve the lemon juice the next time I make this, to see how it turns out. While the original recipe calls for “long grain white rice”, which in my mind points to basmathi and the like, I opted for Japanese rice for a starchier porridge. I suspect Thai fragrant rice (beras wangi Siam) would work just as well. Another Mummy-approved dish, best enjoyed when hot. 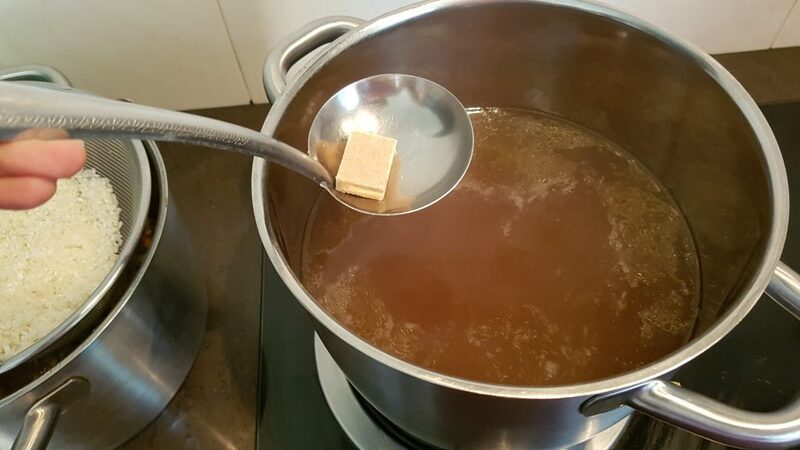 In a large, heavy bottomed pot over medium high heat, bring the stock to a boil. 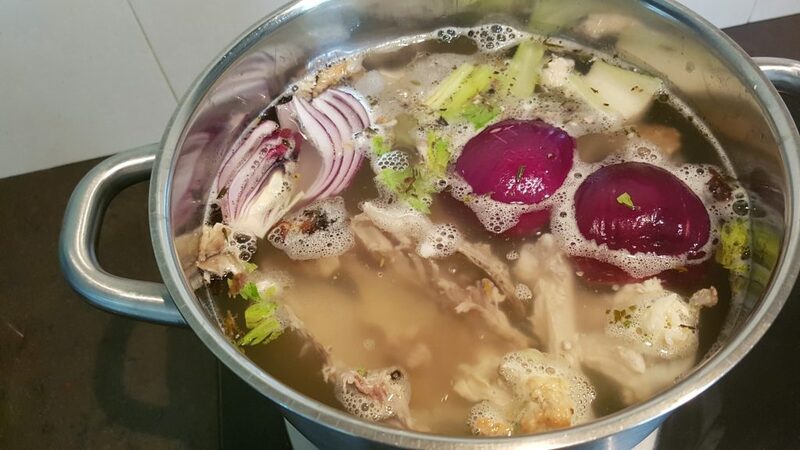 If you don’t have enough stock on hand, add enough water to make 2 litres worth, and add 1 chicken stock cube for every 2 cups of water added. Add the rice, then reduce heat to a simmer. 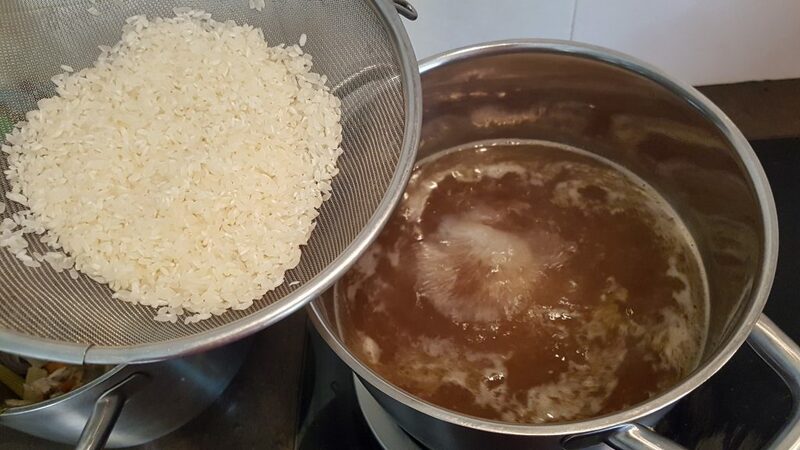 Cover and cook undisturbed, 8 to 10 minutes, until the rice is almost fully cooked but still al dente. Remove from heat and add the shredded turkey. 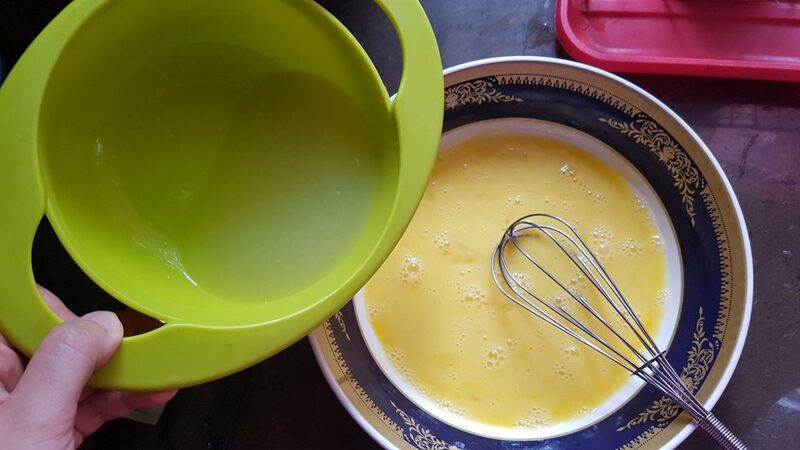 In a medium bowl, beat the eggs and then whisk in lemon juice. 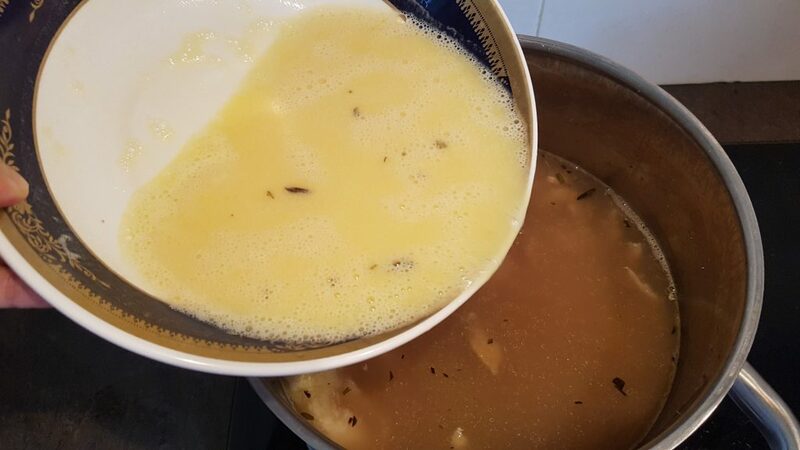 One ladle at a time, whisk hot soup slowly into egg mixture. This will temper the eggs and allow them to heat without curdling. 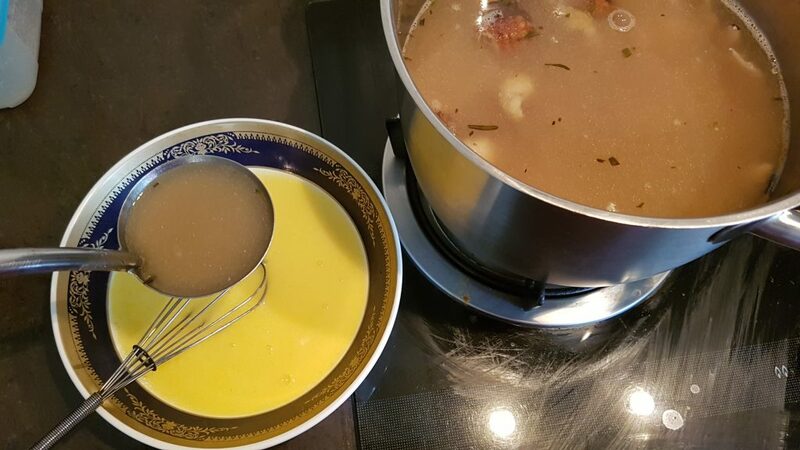 Once you have added 3 or 4 ladles, pour warm egg mixture into soup pot. 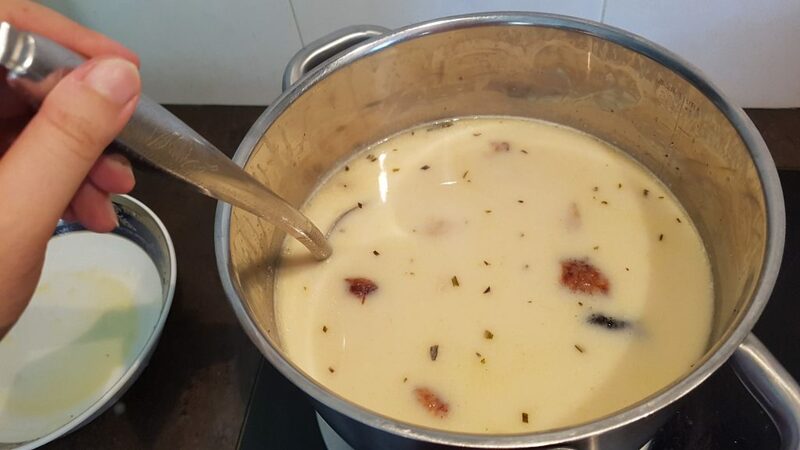 Return to low heat and cook, while stirring, until soup has thickened slightly but has not come to a boil. Serve immediately with a salad and crusty bread. In a large stock pot over medium high heat, add all the ingredients. Add enough water to cover, about 2 to 2.5 litres. Bring to a boil. Lower the heat to reduce to a bare simmer. Simmer uncovered for about 2 hours. Set a large fine-mesh strainer over another pot. Pour the stock through the strainer into the pot. Use immediately, or let cool completely before storing in covered containers for up to 1 week in the fridge, or in the freezer for up to 3 weeks.